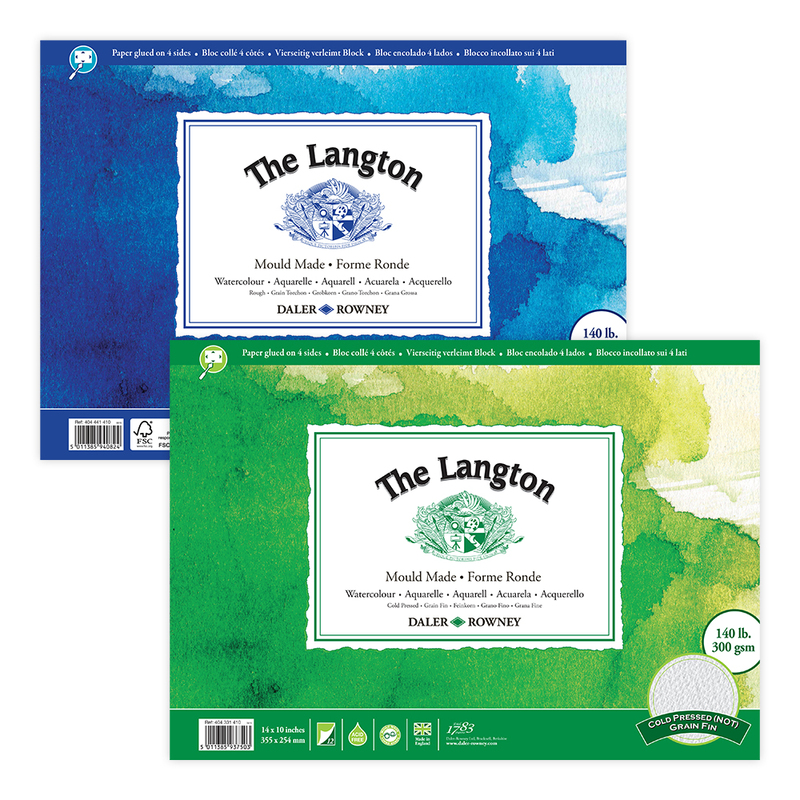 12 sheets of Acid free Langton 140lb (300gsm) water colour paper glued on all four sides. Very popular for watercolour and line and wash. Can also be used for pastels, inks, gouache and acrylics. Available in NOT and ROUGH. Good - Langton Block NOT 20"x16"
An old favourite - Langton Block NOT 16"x12"